This collection of 236 free or open educational resources (URL above) is simply yummy (at least for people like me). I did create my own Open Educational Resources (OER) Index sometime back (Later UNESCO compiled a more organized and useful one named OER Useful resources). However, I like this one due to its comprehensiveness, simplicity and one-page index style (Click or scroll, but don't have to leave the page or pop-up out of here). Though, for those of you new to Open Educational Resources (OER), I have created a list below of OER resources you probably want to check out first, before you drown in the fast rising blue ocean of OER resources (and conclude that this is a waste of time). OER Commons is the first comprehensive open learning network where teachers and professors (from pre-K to graduate school) can access their colleagues' course materials, share their own, and collaborate on affecting today's classrooms. It uses Web 2.0 features (tags, ratings, comments, reviews, and social networking) to create an online experience that engages educators in sharing their best teaching and learning practices. Search for content across more than 50 existing OCW projects for the courses they are interested in, including materials from five language translation partners. The OpenCourseWare Consortium is a collaboration of more than 100 higher education institutions and associated organizations from around the world creating a broad and deep body of open educational content using a shared model. The mission of the OpenCourseWare Consortium is to advance education and empower people worldwide through opencourseware. Stanford on iTunes provides access to a wide range of Stanford-related digital audio content via the iTunes Music Store, Apple's popular music jukebox and online music store. The project includes two sites: 1) A public site, targeted primarily at alumni, which includes Stanford faculty lectures, learning materials, music, sports, and more. 2) An access-restricted site for students delivering course-based materials and advising content. Connexions is a rapidly growing collection of free scholarly materials and a powerful set of free software tools to help authors publish and collaborate instructors rapidly build and share custom courses learners explore the links among concepts, courses, and disciplines. 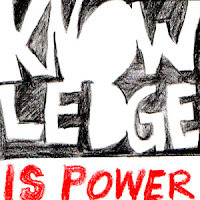 The Content of Commons contains small "knowledge chunks" we call modules that connect into courses. Thanks to a Creative Commons open license, anyone can take our materials, adapt them to meet their needs, and contribute them back to the Commons. And everyone is invited to participate! The University of California, Berkeley is the preeminent public research and teaching institution in the nation. From classic literature to emerging technologies, the curricula of our 130 academic departments span the wide world of thought and knowledge. Supported by the people of California, the university has embraced public service as an essential part of its mission since 1868. The content on this page—drawn from campus seminars, courses and events—is just one part of UC Berkeley's commitment to the broadest possible dissemination of knowledge for the benefit of our state, the nation and the world. World Lecture Hall publishes links to pages created by faculty worldwide who are using the Web to deliver course materials in any language. Some courses are delivered entirely over the Internet. Others are designed for students in residence. Many fall somewhere in between. In all cases, they can be visited by anyone interested in courseware on the Internet faculty, developers, and curious students alike. One-stop source for learning object syndication. They retrieve learning object metadata from across the web and store it here. Thanks Stephen Downes! This archive, provided by Columbia University, offers access to the complete range of free content developed for Fathom by its member institutions. Columbia encourages you to browse this archive of online learning resources, including lectures, articles, interviews, exhibits and free seminars. You can find additional online resources from Columbia University at ci.columbia.edu or cero.columbia.edu and from the members of the Fathom consortium at their own websites. A collection of "cognitively informed," openly available and free online courses and course materials that enact instruction for an entire course in an online format. The Sofia project is an open content initiative launched by the Foothill - De Anza Community College District, which promotes faculty and institutional sharing of online content. Modeled after MIT?s OpenCourseWare Initiative, Sofia encourages the free exchange of community college-level materials on the World Wide Web. Tufts OpenCourseWare is part of a new educational movement initiated by MIT where course content is accessible for free to everyone online. At W3Schools you will find all the Web-building tutorials you need, from basic HTML and XHTML to advanced XML, Multimedia and WAP. The Wikimedia Foundation Inc. is a non-profit organization with the goal of providing free knowledge to every person in the world. Meeting this goal through the maintenance, development and distribution of free content, Wikimedia relies on public donations to run its wiki-based projects.